Today, the 2014-15 Houston Rockets season came to a bittersweet end as the Golden State Warriors advance to the NBA Finals to face off against the Cleveland Cavaliers. Well, with this one it’s time for me to ponder back on what happened over the last year. After all, it’s been four months since I last posted an entry here. It all began with how the season before this one ended, when Damian Lillard sent the Rockets and Red Nation home early with a three point dagger that broke a lot of hearts. I have to admit, I was severely heartbroken afterwards. It was tough to end a season like that. I had to go all-black on all my social media accounts afterwards. Anyways, then came an off-season to “remember”. Rockets unloaded a lot of players like Jeremy Lin (to the Lakers) and Omer Asik (to the Pelicans) in the chase for Miami’s Chris Bosh who was a free agent. Unfortunately (Fortunately), that didn’t pan out as Bosh decided to stay with the Heat for a hefty contract. Then came the bolting of Chandler Parsons to Dallas after the Rockets did not match the Mavericks offer sheet. But for all the significant roster subtractions, Rockets brought in Trevor Ariza who last played for the Wizards and entered into a second stint in a Rockets uniform after spending a full year back in 2009-10. They also brought in the veteran Jason Terry. They drafted Clint Capela and Nick Johnson in the draft. They brought in Kostas Papanikolaou and Joey Dorsey from the Euroleague. No one knew what was going to happen next. Pre-season predictions by the media gave the Rockets the 7th or 8th seed in the Western Conference and a first round exit to match. Before you knew it, in October, the season was rolling along. These Rockets surprised us all, they went 6-0 to start the season good enough for a share of the lead in the Western Conference. Then the streak was snapped against Golden State. They finished November at 13-4. Then in December they made some roster changes. Gone were Tarik Black, Francisco Garcia and playoff hero Troy Daniels. But they brought in Corey Brewer from the Timberwolves and signed Josh Smith after being waived from Detroit. They finished 2014 with a 22-9 record. Come 2015, they finished January at 33-15. They made roster changes as they brought in Pablo Prigioni and K.J. McDaniels. Gone was another fan favorite in Isaiah Canaan. James Harden was named to the All-Star Game and later became a starter after vote-winner Kobe Bryant went down with an injury. He played well in the All-Star game, he took part in the Three Point Shootout in a losing effort. Patrick Beverley won the Taco Bell Skills Challenge. While Kostas Papanikolaou had been given a stint in the Rising Stars Challenge. February ended with the Rockets at 40-18. Then in March, they ended at 50-24 at the same time clinched a playoff berth. Then on the last day of the regular season. They managed to win the Southwest Division title for the first time ever and finished at 56-26. Good enough for the #2 seed in the Western Conference. All the while, this team was carried by James Harden who came out and led the Rockets through some tough stretches all season long. Attacking the rim, scoring stepback jumpers, lighting it up from three point range, distributing the rock at will to put up a legendary run in the race for the season MVP while stepping up on the defensive end. Then everyone on the roster chipped in to the cause with the “Headband of Brothers” in Corey Brewer, Josh Smith and Jason Terry. Donatas Motiejunas had a breakout season. Trevor Ariza was a defensive force. Dwight Howard, Terrence Jones and Patrick Beverley had some good games when on the floor. The Rockets also became the most prolific three point shooting team in NBA history as they made 933 three pointers during the season. But this season came along with adversity as they were riddled with injuries all season long. Dwight Howard missed half of the regular season to multiple injuries. Patrick Beverley was in and out of the line-up before eventually losing him to a wrist injury. Donatas Motiejunas also went down before the playoffs. Terrence Jones missed significant time. And of course, there were some terrible defeats along the way. Also came the media and other NBA fans’ displeasure of what the Rockets have accomplished all season. Turning them into the league’s villains after that title has been settling in Miami the last four season. All was now set for the Rockets playoff run to begin when they opened the post-season faced off against I-45 and Texas triangle rivals in the 7th seeded Dallas Mavericks. The Rockets took care of business in the first two games at home. Then in Game 3, James Harden put up a master performance to send the Mavericks to a 3-0 hole. Dallas would respond in Game 4, but the lack of synergy within the Mavericks team caught up as the Rockets took the series for their first playoff series win since 2009. Next up for the Rockets were the 3rd seeded Los Angeles Clippers who came off a thrilling 7 game series to knock off the defending champion San Antonio Spurs. The Clippers stunned the home crowd as the Rockets went flat-footed in Game 1. They evened up the series in Game 2. But suffered two straight losses in Los Angeles as they now trailed 1-3 in the series. They responded in Game 5 to extend the series. In Game 6, Clippers had a 19 point lead in the 3rd quarter, as it looked like they are now setting up for a date with the Warriors in the Western Conference Finals. A Game 7 back in Houston was slipping away. 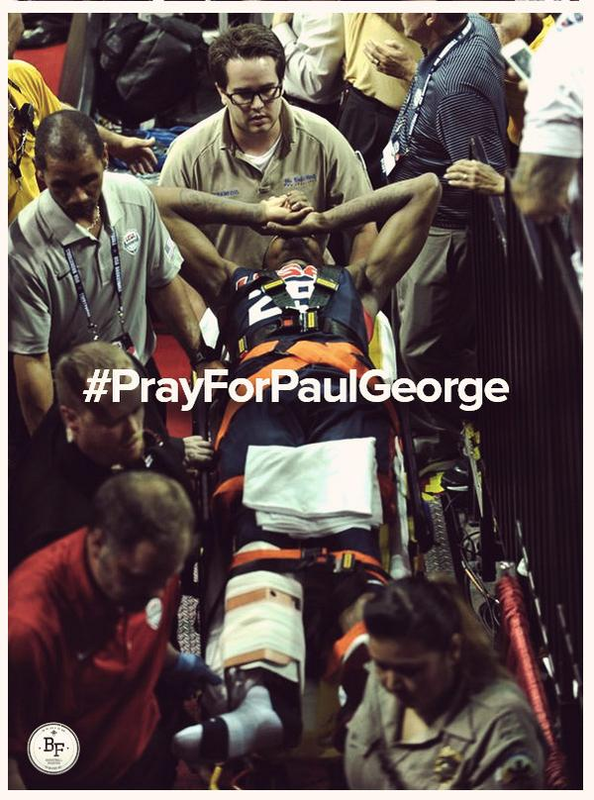 Then came one of the most heart raising comebacks in NBA playoff history. As the Rockets went on a 48-17 the rest of the way to force a Game 7 back home. In Game 7, they completed the comeback as Red Nation was given a nostalgic trip to the Clutch City era of the franchise as for the second time in franchise history and the ninth time in NBA history, they came back from a 1-3 deficit to win the series. They also advanced to the Western Conference Finals for the first time since 1997. Then came a date with the best team in the league, the MVP in Stephen Curry, his Splash Brother Klay Thompson and the rest of the Golden State Warriors whom they failed to beat once during the regular season. Rockets fought hard in the first two games in Oakland, but suffered heartbreaking defeats in both games as they only lost a combined 5 points over the Warriors. Then as the series shifted to Houston, the Rockets got caught flat-footed as they fell in Game 3 by 35 points sending them in a 0-3 hole. In Game 4, they finally got over the hump as they forced a Game 5 in Oakland beating the Warriors for the first time this season. Then in Game 5, they had opportunities to steal a victory and send the series to Game 6. It was evenly matched through 3 quarters, but the Warriors proved to be the better team and at the worst moment, James Harden had his biggest cold spell of the season. Ending the Rockets season. Now here are some thoughts. Yes, it was indeed a tough and heartbreaking way to bow out. I mean, the emotions of the outcome has been overwhelming to bear and ponder upon. It was not the storybook ending we wished for. The “What if’s” are still in my head. We were 7 wins away from an NBA championship. But when I look back at everything again, I cannot help myself but to be proud of what this team has accomplished this season. 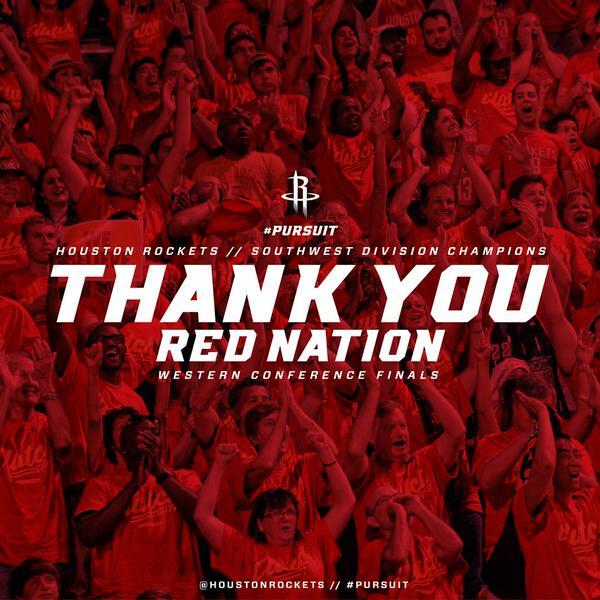 This has been the best season the Rockets have ever played out in the 13 years I have been a member/soldier of Red Nation. And to think nobody outside of us in Red Nation thought they would go this far into the season. I’m still glad I get to see them play out until the end of May, because at this point of the year in previous years, the off-season is under way. They overachieved and exceeded expectations. Give our coach Kevin McHale and his staff a ton of credit. Sure, we’ve been all around his head as fans all season long. But he did a great job this season. He had bright moments this season coaching this squad. Give our general manager Daryl Morey credit. He turned around a tough off-season, by bringing great pieces in-season to get to where we are right. As for James, Dwight, Josh, Trevor, Jason, Terrence, Corey, Pablo, Patrick, Donatas, Kostas, Clint, Nick, K.J. and Joey. You all made Red Nation proud. Thank you for all that you have done over the past year. Come back stronger next season! In capping off this entry. 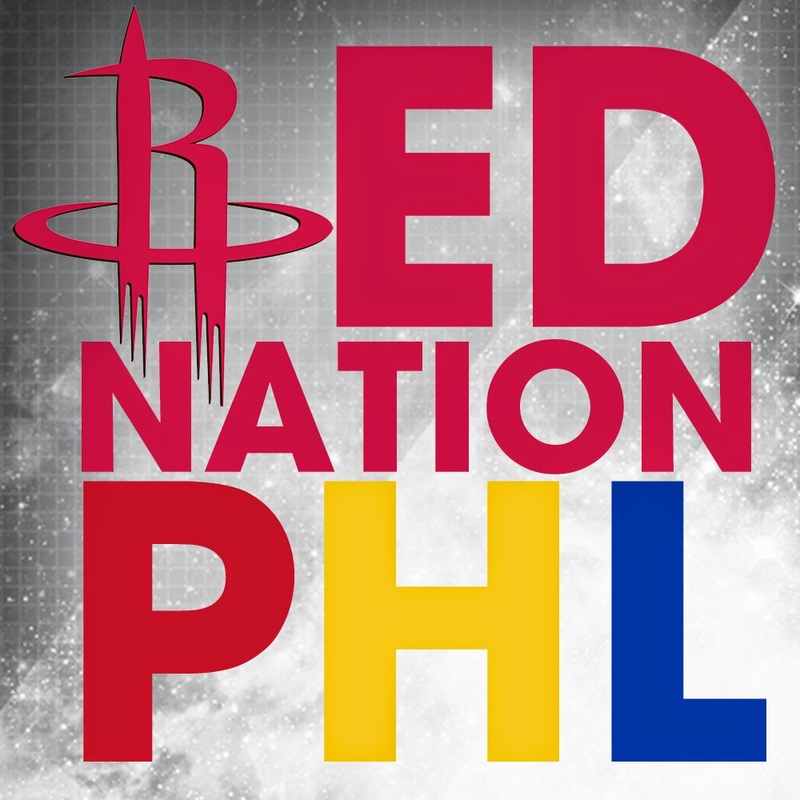 I would like to thank all the members of Red Nation that I have met over the years whether its at home in the Philippines, Houston, the rest of Texas, Hawaii, Arizona, Norway, or anywhere else around the world. Each and every one of you made it special for me to be a Rockets fan. I had a blast talking to each and every one of you for the team we all love and root for. For sticking through all good and bad that has happened over the past year. Thank you for allowing this crazy 21 year old kid from of all places the Philippines to be a part of a great family. Stay tight, and I’ll see you guys next season. And that ends “The best season yet.” I’ll be on Twitter hiatus starting tomorrow (I’m still thinking about doing the same thing on Facebook as well) to get my own life in check, after all I need this time for my own life to take flight. I’m hoping I’ll be in a better state in life before the following season begins. from the Land of the Three Stars and a Sun 24/7/365. After two months, this blog returns with a new name. It has been two months since I last wrote something in this blog. When I was reeling from the heartbreak one guy from Portland, Oregon named Damian Lillard ended the playoff run of my beloved team the Houston Rockets. But yeah, I moved on from all of that. Plenty of things happened since. Now, I’m back with a new name and a new look for this blog. Starting today, this thought ladder I built for the last two years will now be called Manila Red Nation. It’s a simple name but speaks well of who I really am. 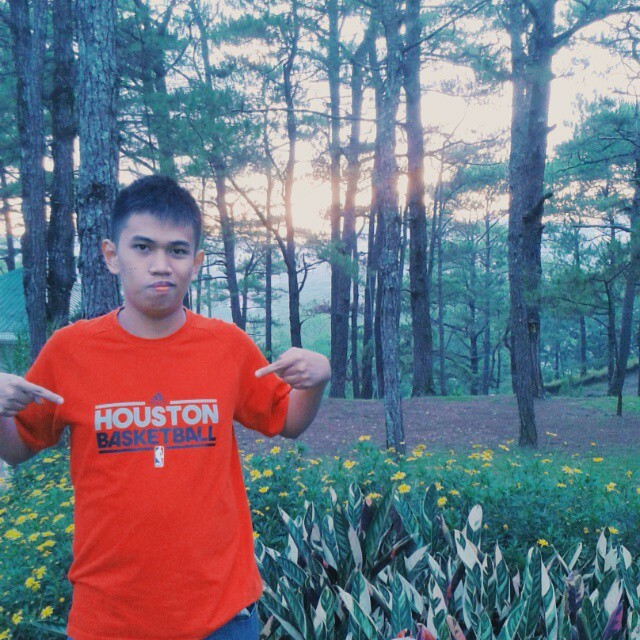 A Filipino fan of the Houston Rockets. Of course, my blog will not always talk about basketball. It will always be about my thoughts on different things happening in my life and the world around us. As with this entry, it’s a catch-up of what happened since I last wrote here. As for Lillard and his Portland Trail Blazers, they met their Waterloo in a five game defeat to the eventual NBA Champions, the San Antonio Spurs. The Spurs dethroned the two-time NBA champions Miami Heat, also in five games to claim their fifth NBA title in franchise history. Though my team failed to win it all this season. At least, the team I picked in the Finals won. Then the 2014 NBA Draft happened. The Cleveland Cavaliers would pick Kansas forward Andrew Wiggins #1 overall in the third time they picked #1 in the last four years. Then LeBron James decided to come home and once again play for his beloved Northeast Ohio when he made his decision to return to the Cavaliers after four years in South Beach where he led them to two NBA titles. That move set off a domino effect on the other free agents across the league. Players moved teams, while some stayed. Notable moves so far were Pau Gasol to the Bulls, Paul Pierce to the Wizards, Jason Kidd to coach the Bucks, Lionel Hollins to coach the Nets. While notable hold-overs were Miami’s Dwayne Wade and Chris Bosh and New York’s Carmelo Anthony. As for the Rockets so far, Chandler Parsons left for the Mavericks, Jeremy Lin was traded to the Lakers, Omer Asik was traded to the Pelicans. While some former Rockets returned to the fold with Trevor Ariza (from the Wizards) and Joey Dorsey (last played for FC Barcelona in Spain) returning to the fold. They will also bring Dorsey’s FC Barcelona teammate in Greek player Kostas Papanikolau which the Rockets also hold the rights for. Still, it was painful when Chris Bosh who was deemed to join the Rockets after LeBron’s move decided to stay with the Heat. So far, it’s a strikeout, the team has yet to get a possible third piece to truly contend for the title. But the off-season is far from over. Who knows what may happen. With LeBron James coming home, it’s an opportunity for me to rekindle the time I supported “The King” during his first stint with the Cavaliers. I admit I was one of those guys who did not like see him leave Cleveland for Miami. For four years, I rooted against him and the Heat. But now that he’s back, apart from the fact that the Rockets will always be my #1 team to root for. I would love for him to lead Cleveland to an NBA championship that has been long overdue. With NBA off-season in full swing. We also witnessed the first PBA Grand Slam in 16 years with the San Mig Super Coffee Mixers win all three conferences this season. UAAP basketball is back, in my first year to root for the UST Growling Tigers as an alumnus. I do hope the long overdue UAAP basketball title will come to España this year. And our national team Gilas Pilipinas are making their preparations for the upcoming FIBA Basketball World Cup in Spain and the Asian Games in Incheon, South Korea. A must-watch will be “The Last Homestand” as Gilas Pilipinas will battle the Fibr All-Stars composed of NBA stars like Finals MVP Kawhi Leonard, Blake Griffin, James Harden, Paul George, Damian Lillard, Kyle Lowry, and many more and will be spearheaded by former NBA coach John Lucas coming up tomorrow at the Smart Araneta Coliseum. Well, that’s enough of the basketball talk, over the last month, I watched the 2014 FIFA World Cup in Brazil to get a taste of what the world’s #1 sport is really like. We’ve seen it all. The defending champions Spain getting knocked out early, Countries from the Americas having a field day in the group stage. The US team winning American hearts. Luis Suarez’s bite costing Uruguay. Colombia’s new ace in James (pronounced Ha-mes) Rodriguez. Brazilian star Neymar getting hurt. The host nation giving up 10 goals in their last two games to settle a disappointing 4th place behind the Netherlands. Argentina’s Lionel Messi winning the Golden Boot. But the tournament belonged to Die Mannschaft as Germany knocked off Argentina for their fourth World Cup title at the world famous Maracaña Stadium in Rio de Janeiro as Mario Götze becomes the 2014 version of Andres Iniesta with an extra time goal that propelled the Germans to the title and denying Argentina the pleasure of winning a World Cup on the soil of their eternal rivals in Brazil. As for my personal life. Well, I’ll be looking for a job very soon. I just need some inspiration on what I will do in my life in the future. I need a few more stops to get a feel for what I need to do in life. I’d be looking forward to register for the 2016 national elections after failing 2 years ago since I made my move very late. To cap everything off, I’m looking forward to actively blog here once again especially with the new look and new inspiration I’m getting with the name change. So with all that I have written today. 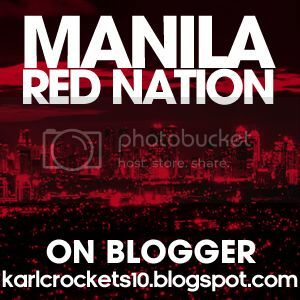 I welcome you to the new face of my thought ladder that is Manila Red Nation. This blog entry is dedicated to my late grandmother Juliana “Inay Laki” Deriquito-Reyes who passed away last June 13 at the age of 89. In that kind of fashion, and way too early than I thought it would and I was not there to see it all. I was away from the buzz of the metropolis. I went to a place with no television screens and computers. All I had, was my phone and went browsing using the mobile internet out of insistence that I cannot miss this game no matter where I am. For after all, the season was on the line. A win would send this series to a 7th game, a loss would send my team home for the early offseason. I did not saw the shot. As I saw each time I reload the NBA Game Time App just to see the score change every time. When it all mattered, 0.9 seconds was all it took from watching my team play a Game 7 today to right now with compelling thoughts on what just happened to my team. In 0.9 seconds, it was all over. The 2013-14 Houston Rockets season is nothing but history. I did not see what happened afterwards at the Moda Center on the TV screen. I did not saw the euphoric Portland crowd erupt with joy happiness as their Trail Blazers moved on to the second round of the NBA Playoffs for the first time since 2000. 14 years of heartbreak for them finally ended. I did not saw the words their hero said to one of our guys after the game. I did not saw the whole team get down on their knees in sadness amidst the celebrations. Just like that, I’m a screwed fan. I saw two scenes on social media, after the game. I kept the lines open even with the loss. Amidst the sadness I was experiencing as a fan. On one side, people celebrating the Blazers win in that kind of fashion and saying the name of the hero who propelled the team into the second round. People who were glad and ecstatic to see the Rockets season come to an end all for different reasons. Like seeing a guy on the team fall short on the playoffs after his controversial move or the thought they do not like the team in the first place. Some would go out and post/tag me on my wall about what happened like my team got owned/upset, videos of other Rockets fan reactions on the loss and pictures of the game. I would not bother myself watching these things. But, I’ll keep it on my wall. Because someday it has it’s purpose. There is a good reason for me to keep it. Then on the other side, were those who supported the team. The Red Nation! The people who were passionate about the team. Some of them, which I met in the last playoffs that have been fans of the team longer than I am. It was a mutual feeling throughout. Everyone was shocked and saddened with those 0.9 seconds that ended the season for the team we all love and die to root for. None of us thought our season will be ending early. Unfortunately, the basketball gods gave us the heartbreaking truth of not having to witness our team play forward for the season. But without them, I would be all alone in the healing process from this heartbreak. Something I have experienced for most of my years as a fan of the team. We are all entitled to our own opinions and which teams to root for. You can root for a team that has a documented history and lore. You can root for a team because your favorite player is playing for it. You can root for a team for a lot of other reasons. We have our teams to root for with every season or for the long-term. Sometimes, that passion can lead us to crossing the line on those we trample with whenever our team wins against another team. It just so happened in my case, I chose a team that did not have a large following in this country. Even with the player changes, the following was growing slowly but still smaller than other followings. I can count my fingers on my friends here who are as passionate to the team as I am. It was a weird feeling when I watched the team play in October last year for the pre-season. The crowd at hand was jeering one guy of the team, while they’re cheering the other guy who was his teammate. I had a thought, how many of these people in attendance were die-hard fans like me? I’m sure most of them came just to be a part of history. To be witness to the first NBA-sanctioned game in the Philippines. I’m sure most of them want another team playing. A team that has a huge following in this country. I can’t blame them for it for we know that this country is more passionate about this sport than any other place on the planet (take Lithuania with us also). Now, if someone asks me “Are you gonna watch the rest of the Playoffs?”. Well, I will do my own best to keep updated with what’s happening. One thing is for sure though. I would not root for any other team still playing in this playoffs. I could care less, if one team gets the three-peat, or another team getting back on top of the mountain after a bitter loss last season, or another team driven by not just a city but an entire state to their first professional title, or a team whom we least expect to win it all shock the world and pull off a magical run. It’s going to be tough for me to watch a game from here on out until the season comes to an end with the NBA Finals next month. Just like that, the “our” season is over. The most compelling season I have witnessed in my 12 years as a member of Red Nation is nothing but over. The team admitted on their page that they fell short of the fan base expectations. What most of us who believed, thought would be the rise of the team would turn out to be the collapse of biblical proportions. No one saw we’d go down in Round 1 of the playoffs. Yet we did in a fashion no one saw coming. Even with all the heartbreak and sorrow, I’m still proud of what I stand for. I will always believe in the team that I have passionately rooted for more than half of my life so far. There will be journeys ahead with this team. Time will eventually heal all the wounds and heartbreaks I am having right now. I have learned a lot of things with every year that passed. I went through good times and experienced plenty of heartbreaks along the way. It will be a long and cold wait until the next season begins. But, I always believe that one day, this team will raise the championship and I along with everyone in Red Nation will be witness to it. Regardless, of what the people around me say. And the fact I’m 13,744 km (8,540 mi) away from Houston. My blood is RED, and I’m a member of Red Nation for Life from the Philippines! Thank You for another season Houston Rockets! Meeting the man behind Pacific Rims and Pinoy Hoops. I was browsing through Facebook, when I saw an invite to an event for Tuesday, when I read it, I was pumped up! 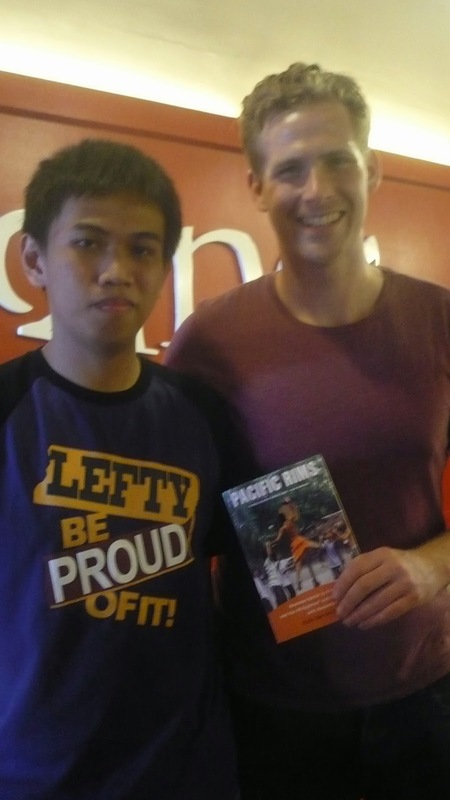 Because the man behind the book “Pacific Rims” and the National Geographic Channel documentary “Pinoy Hoops” Rafe Bartholomew is coming back to the Philippines for a book signing at his old stomping grounds while he was in the country to write his book in the Katipunan area of Quezon City. So with no hesitation, I went half-day for work on Tuesday, took the LRT from UST to Katipunan and I went straight to the venue which was Gino’s Brick Oven Pizza just across the campuses of Miriam College and Ateneo de Manila University. Since I didn’t have lunch prior to getting there, I took time to eat my lunch there, and their pizza was very delicious and I’d be happy to come back if given the chance. Then at mid-day the man finally arrived. When the book signing was about to start, a crew from ABS-CBN came along with former UST courtside reporter Tina Marasigan to conduct an interview with Rafe, which took awhile. Afterwards, the owner of the place who happens to be a close friend of Rafe opened up the day with a question and answer part. I threw in a question to him where I asked about the chances of Gilas Pilipinas in the 2014 FIBA Basketball World Cup in Spain. Where the best case is that they’ll get to pass the second round while the worst case is that they fail to win a game in the tournament, but he also said the team could be one of the darlings of the tournament. I also happen to give him a suggestion on a possible second season of Pinoy Hoops where they should look at the college game, not only limited to the UAAP and NCAA, but also to other parts of the country where I mentioned Cebu who also has a rich basketball history. Afterwards, the book signing began. 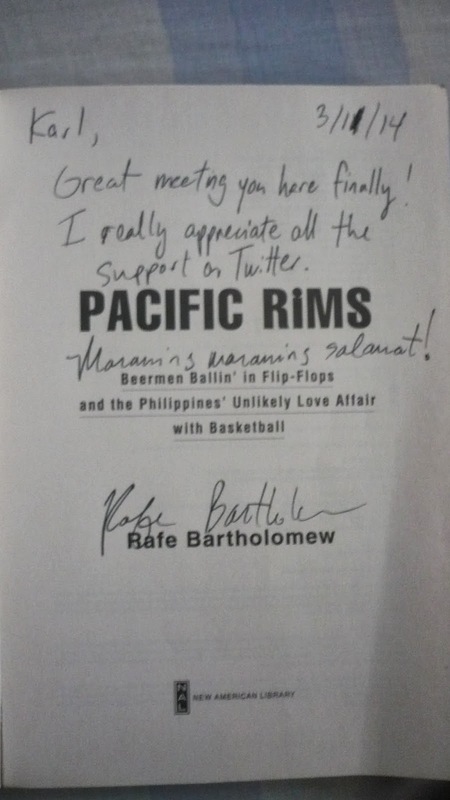 Since I came in first, I got to have my copy of his book Pacific Rims signed up first. Since I happen to follow him on Twitter, I was surprised he read this blog especially my articles about Gilas Pilipinas and my NBA Global Games experience. He also happens to know my obsession for the Houston Rockets, which gave a huge smile on my face. Best part of it all was we got to converse in Filipino of which he’s fluent for a little while. So I’d like to thank Sir Rafe Bartholomew for the opportunity to finally meet you in person. I am looking forward to the day we cross paths again. Thank you for all the inspiration that you gave this kid who loves basketball and sports a lot. I also forgot to tell you that I’m a lefty just like you are that’s why I came in very inspired. It was a unique experience for myself, I really hope that my friends can come in and jump the train with me the next time he comes back.